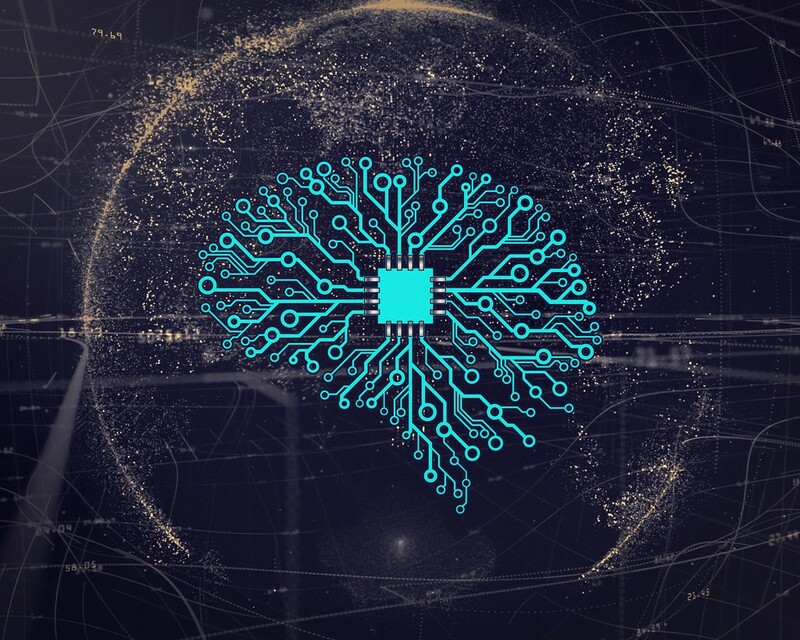 Machine learning startups are another source of patents Alphabet, IBM, Intel, GE, Google, Microsoft, Philips, Qualcomm, Samsung, Siemens, Sony and others monitor continually. The following list of 25 machine learning startups are based on an analysis of their ability to attract new customers, current and projected revenue growth, patents’ current value and potential, and position in their chosen markets. Co-Founder and CTO of Skyline AI, an artificial intelligence company in the commercial real estate industry, believes that we’ve reached a renaissance age in AI. We considered companies in “artificial intelligence, marchine learning” and adjacent categories. Included on the list are active startups that have raised at least one venture capital round since January 1, 2016. The list includes companies that are working specifically on artificial intelligence and machine learning technologies. The startups are ranked based on known total funds raised. Anodot — Capitalizes on the innate strengths of machine learning by continually looking for patterns using constraint-based modeling across the diverse data sets businesses are relying on to operate daily. Similar to many machine learning startups that capitalize on the technology’s ability to learn continually, Anodot’s AI platform looks to eliminate blind spots in data and quantify root-causes in diverse data sets. Anodot has approximately 100 customers including Microsoft, Lyft, Waze, Pandora, AppNexus, Wix, and Anodot raised a total of $27.5M in funding over four rounds. The latest funding came from a Series B round on Dec 19, 2017, from Redline Capital. The following screen from their app is an example of how Anodot provides real-time anomaly detection. DataCamp — DataCamp is an interactive learning platform for data science that provides over 100 courses featuring high-quality video, in-browser coding, and gamification. Courses are often authored and presented by analytics, big data, machine learning and AI experts. DataCamp is succeeding in getting companies to subscribe to their training programs to get new hires up to speed. Clients include eBay, BCI, Harvard, and GfK. DataCamp has raised a total of $6.1M in funding over six rounds. The latest funding came from a Venture Series round on Jul 14, 2017. The following is a screen from the course Machine Learning with Tree-Based Models in R.6. Dataiku — Designed and launched their Data Science Studio platform with the goal of aggregating the process steps needed to transform raw data into data-driven applications that are easy to maintain. The Studios’ workspace is designed to be intuitive, interactive and capable of shortening load-prepare-test-deploy cycles required to create data-driven Dataiku raised a total of $45.7M in funding over four rounds. The latest funding came from a Series B round on Sep 6, 2017, from Battery Ventures. Petuum — A spin-off of the Machine Learning Department at Carnegie Mellon University, led by CEO and Chief Scientist Eric Xing has over $108 million in investor funding led by SoftBank, Petuum is one of the highest-funded Artificial Intelligence and Machine Learning startups. Their mission is to industrialize AI, and transform every enterprise into builders, owners, and informed users of AI. Petuum was named as a 2018 Technology Pioneer by the World Economic Forum. Directly — An innovative startup using AI and machine learning to integrate customer service and crowd-sourced expertise and intelligence Directly look to capitalize on the evolving shift to a gig economy. Their platform enables companies to pay experts for responding to questions. AutoDesk is a fan, as can be read in this blog post. Directly raised a total of $35.8M in funding over five rounds from Costanoa Ventures, Microsoft Ventures, and True Ventures. The latest funding came from a Series B round on Apr 10, 2018, from Northgate Capital. H2O.ai — H2O.ai provides an open source machine learning platform that simplifies the development of data-driven smart applications. Data scientists and developers are using the H2O.ai platform to create, test and scale algorithms that are the foundation of applications. H2O.ai apps are being used today to predict fraud, customer churn and solve many other complex problems their customers have. Key clients include Cisco, PayPal, and Progressive. H2O.ai raised a total of $73,600,000 in funding over five rounds. The latest funding came from a Series C round on Nov 30, 2017 lead by Nvidia and Wells Fargo. Cinnamon — Relying on machine learning and AI techniques to automate data extraction from unstructured documents, Cinnamon’s co-founders have extensive experience in recommendation engine design and optimization. They’ve developed several interesting products including Lapis Engine, which combines vectorization of user and product information to deliver accurate recommendations and matching. The company is based in Tokyo and Vietnam and is now expanding to the United States. Cinnamon has raised a total of $10M in funding over five rounds. The latest funding came from a Series B round on Jun 1, 2018, from SBI Investment. Innovaccer — Innovaccer develops AI- and machine learning-based systems for healthcare organizations, enabling them to integrate complex data across multiple distributed sources and provide valuable insights to healthcare professionals. Innovaccer’s Datashop application includes proprietary modeling algorithms that normalize data and links data across multiple disparate data sources. Innovaccer also provides solutions for care management, referral management, and patient engagement and has raised a total of $43.1M in funding over three rounds. The latest funding came from a Series B round on May 10, 2018, from WestBridge Capital. LeadGenius — LeadGenius is a leader in the evolving AI and machine learning-based areas of marketing automation. The company has created and sells an end-to-end sales solution that provides companies with a way to generate, qualify, deliver, and convert leads in addition to helping launch and excel at Account Based Marketing (ABM) strategies. It helps sales teams grow and scale across all levels of the sales process. LeadGenius was launched by Anand Kulkarni, Prayag Narula, and Dave Rolnitzky in 2011. LeadGenius raised a total of $19M in funding over five rounds. The latest funding came from a Series B round on May 14, 2018, from Sierra Ventures. LogiNext — LogiNext is a fascinating startup using AI and machine learning to bring greater innovation to field workforce and logistics optimization. The startup offers field workforce optimization, real-time tracking, route optimization, resource allocation automation and on-demand management to more than 250 enterprise clients. They also have developed apps for last mile management, field workforce management, long-haul tracking and management, On-Demand and Reverse Logistics Management. LogiNext raised a total of $10.6M in funding over two rounds.